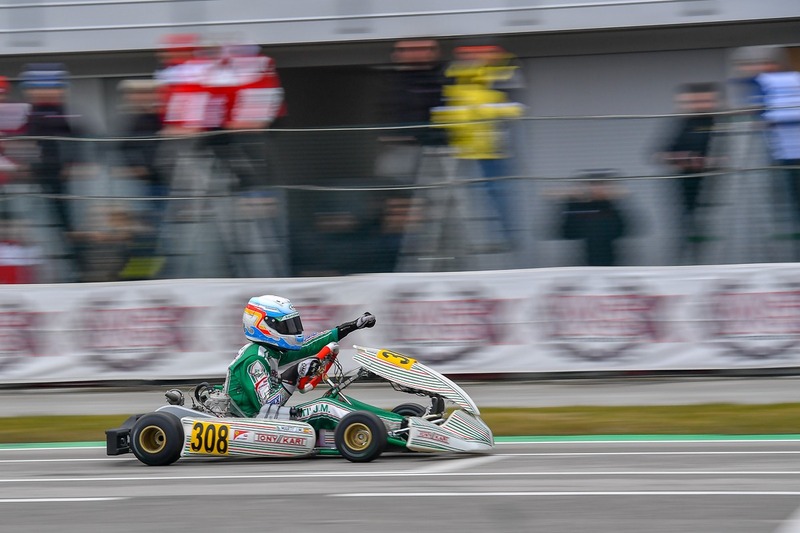 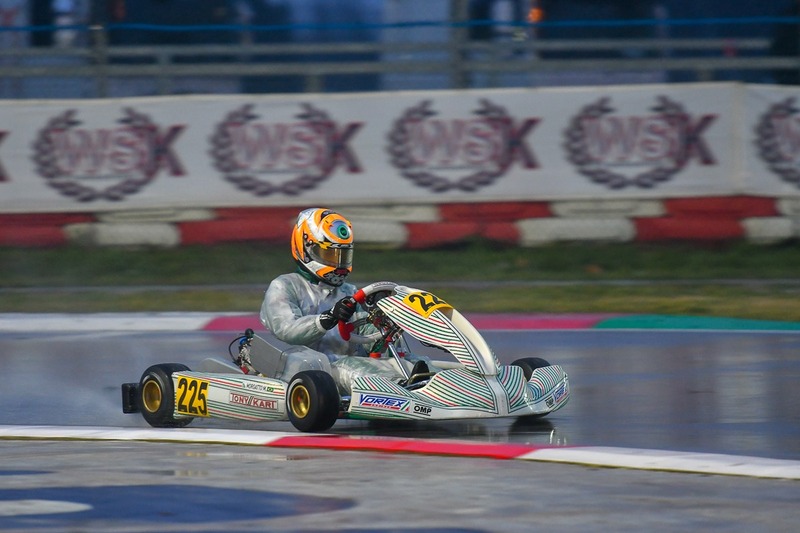 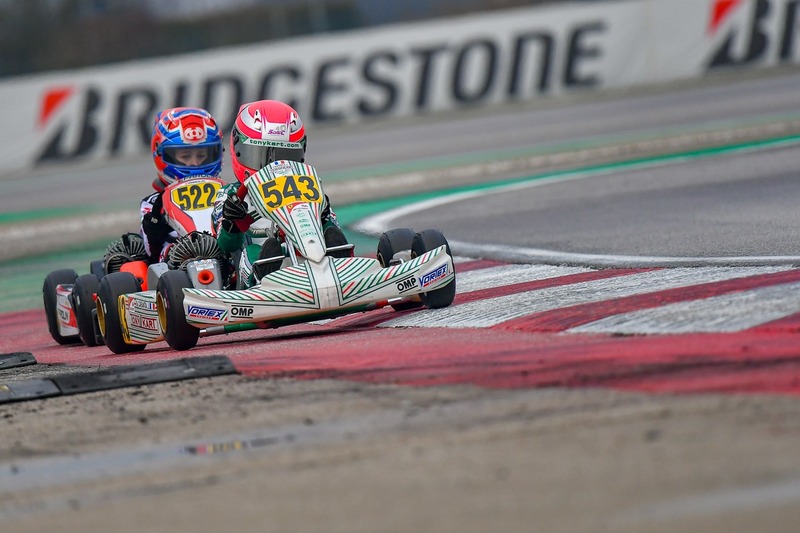 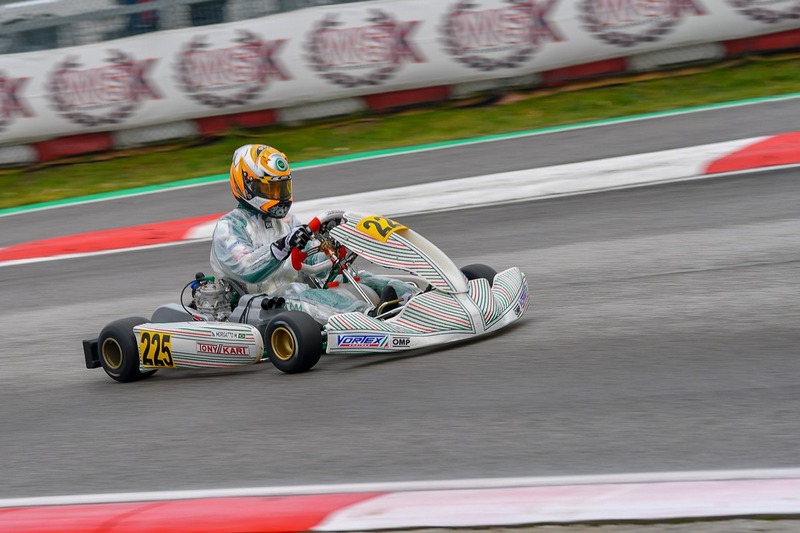 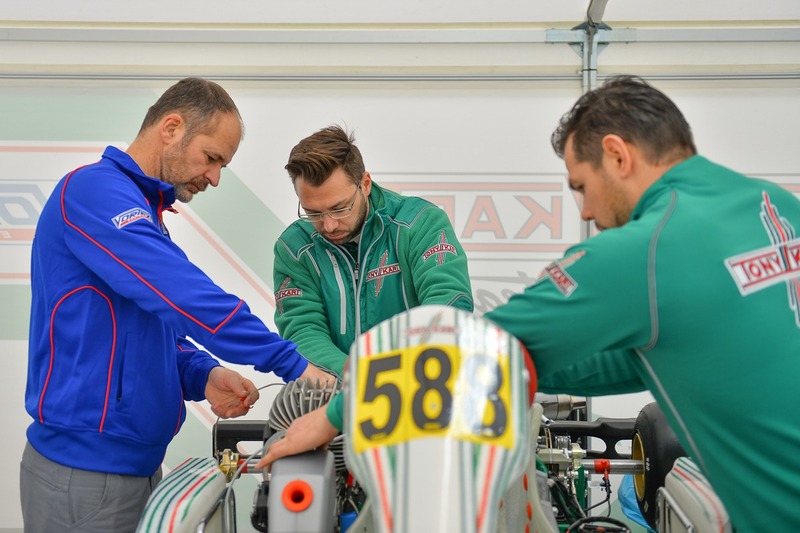 A wet qualifying and eliminatory heats set the first round of WSK Super Master Series in Adria Karting Raceway. 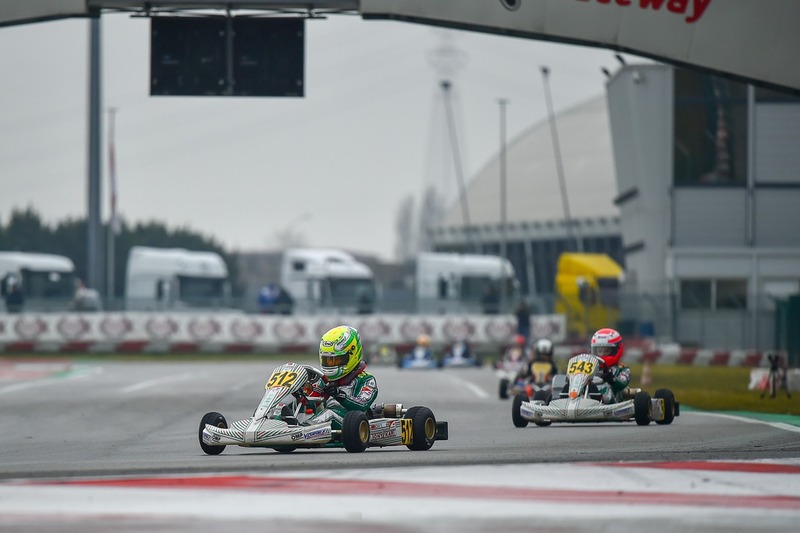 Despite been a season opener, our Racing Team drivers already showed a great pace and battled for top positions. 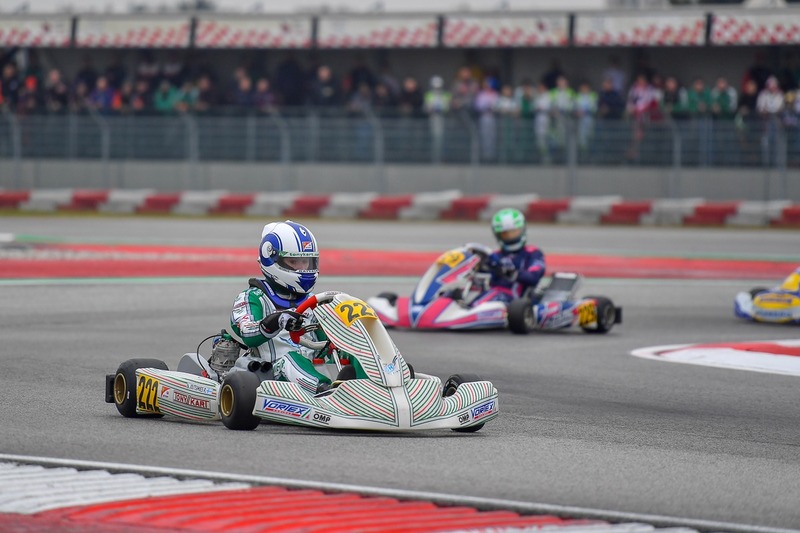 Junior drivers were clearly the one’s to watch. 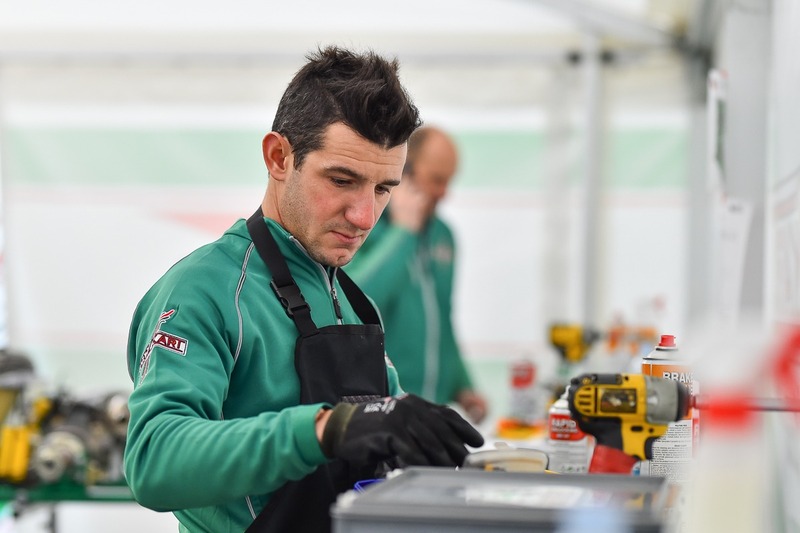 Nikita Bedrin was second in qualifying practice while Josep Maria Martí was ninth. 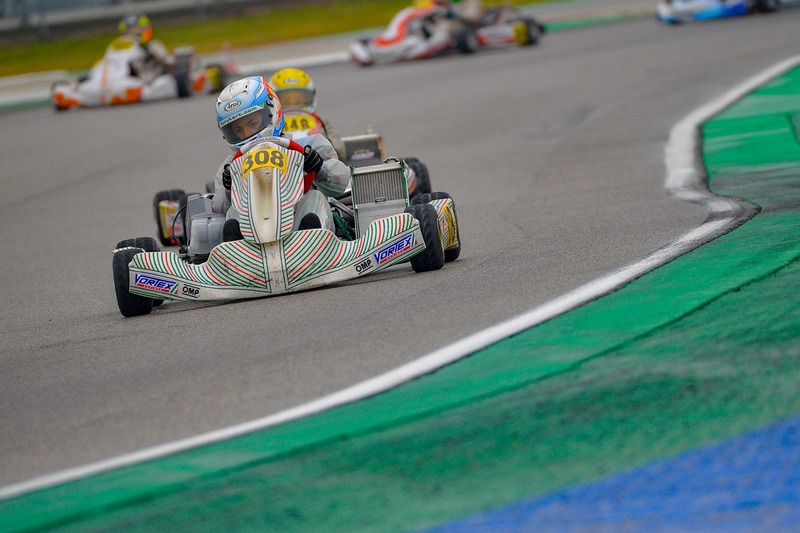 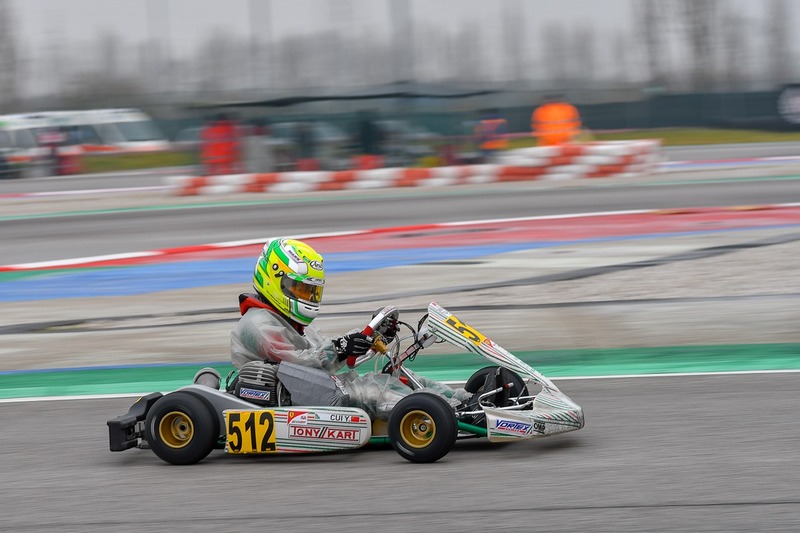 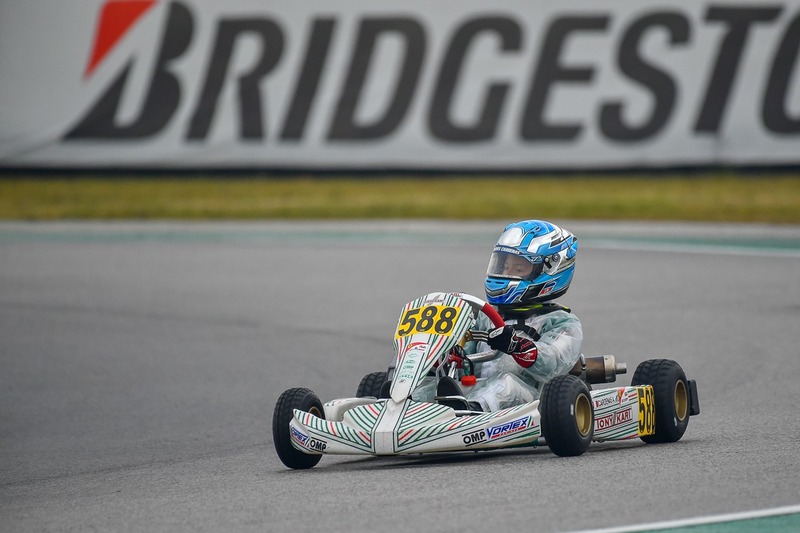 Both drivers fought for eliminatory heats victories with the Russian taking the victories in heats A-B and B-E.
After all heats, Martí found himself in the front-row of the starting grid in Pre Final A. 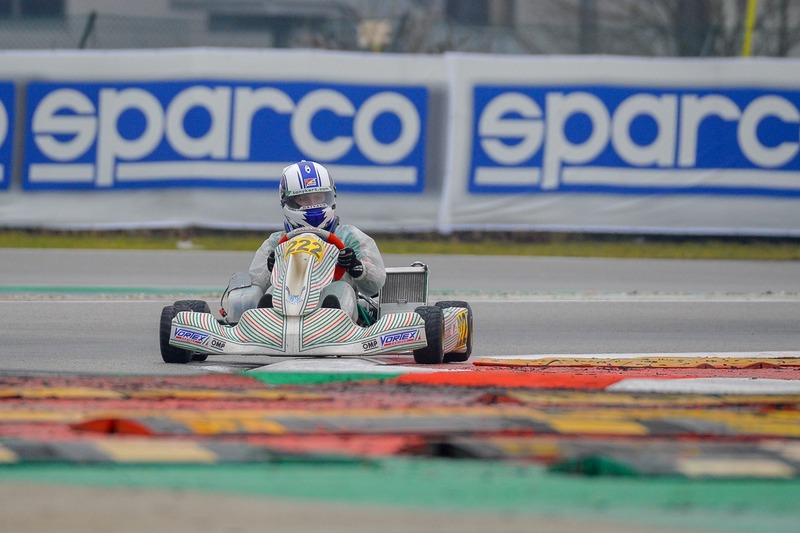 He fought for the win of the prefinal but he finished second while Bedrin was ninth. 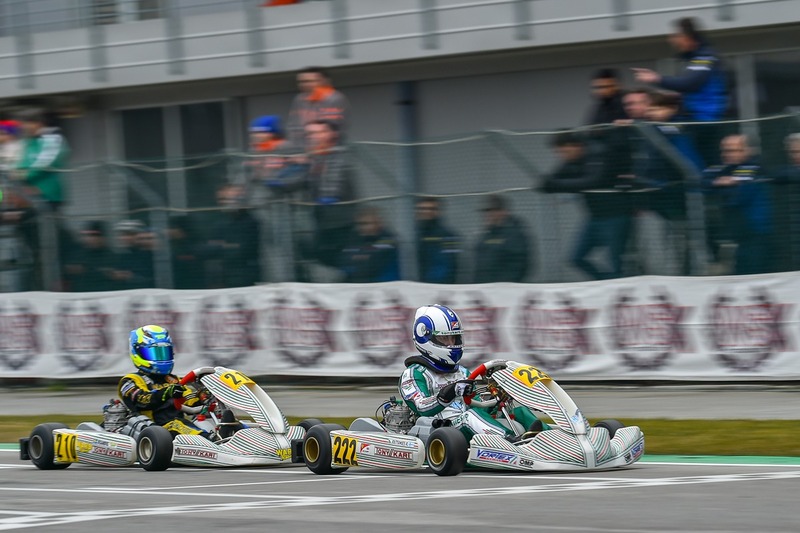 Both drivers were doing well in the Final with Bedrin realizing a great comeback until he was hit by another driver. 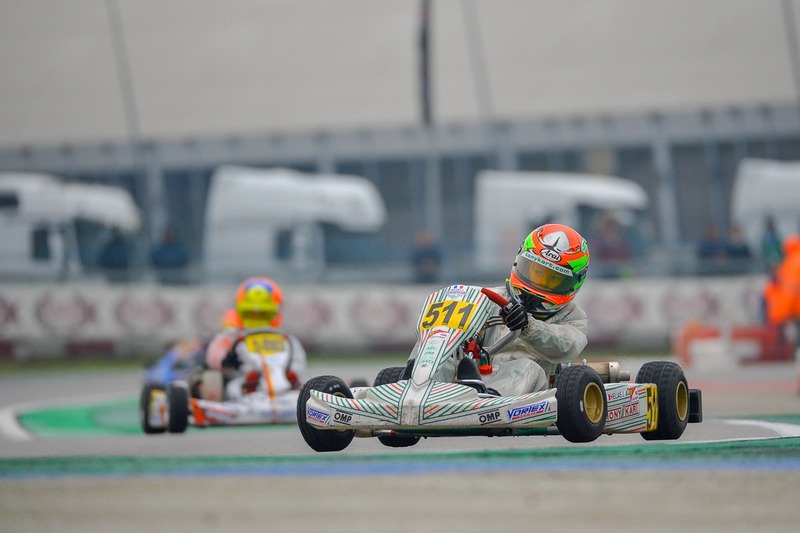 Meanwhile, Martí who early struggled to keep fourth place, caught the leaders to battle for the race win. 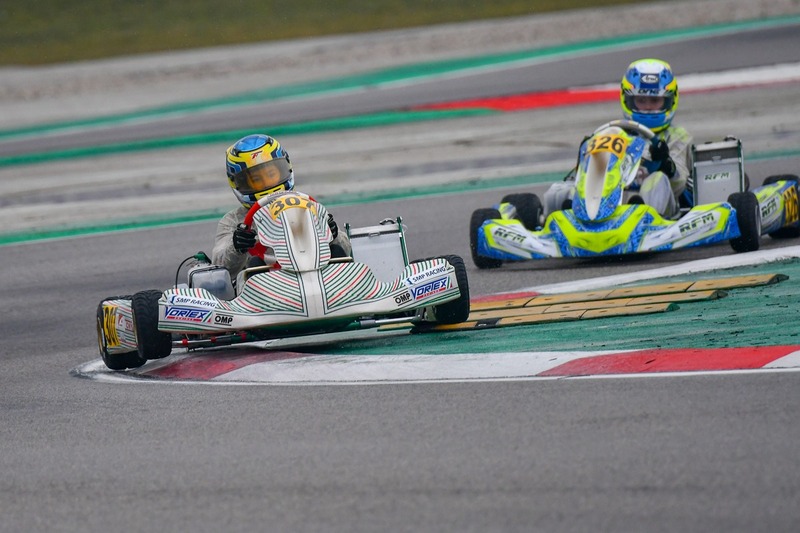 The Spanish driver got the lead with 2 laps remaining, and in the battle for the victory, he managed to keep the position in a fought last lap fight. 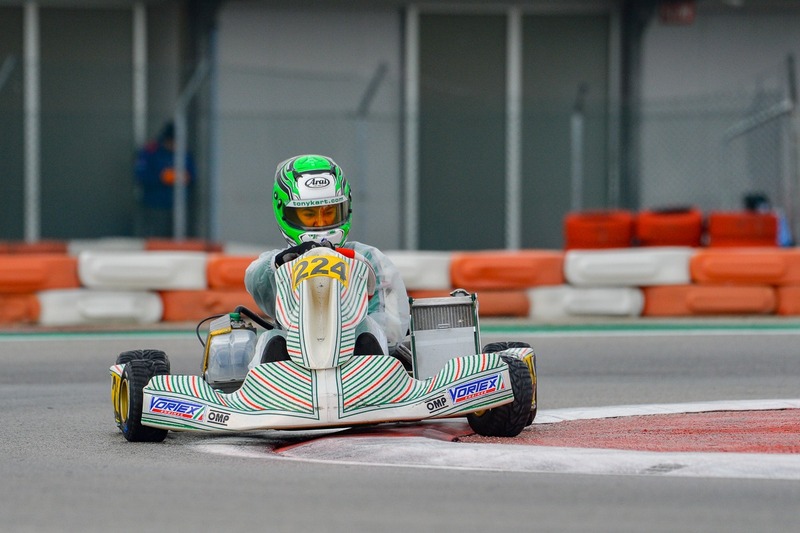 Sadly, a post-race penalty pushed out the Spaniard from the podium positions. 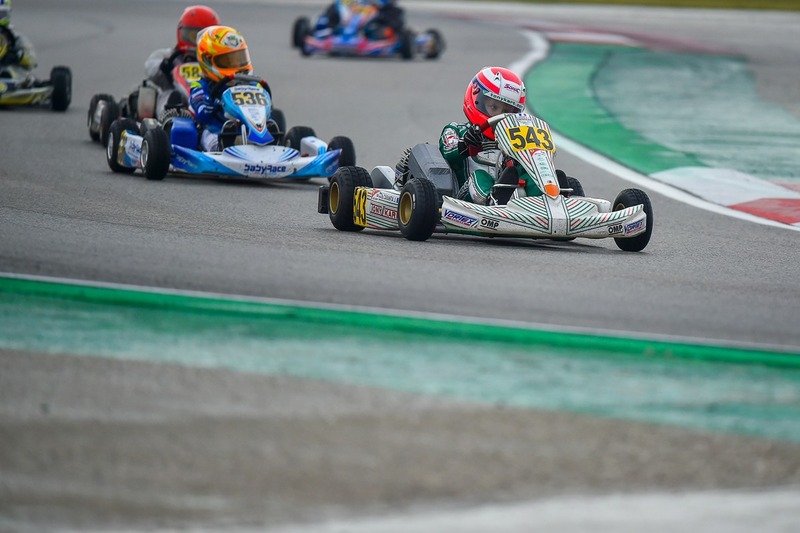 In OK class, Frenchman Sami Meguetounif was the best wearing our colors during qualifying practice, 8th position, finishing just ahead of Rasmus Joutsimies, while Matheus Morgatto finished 23rd. 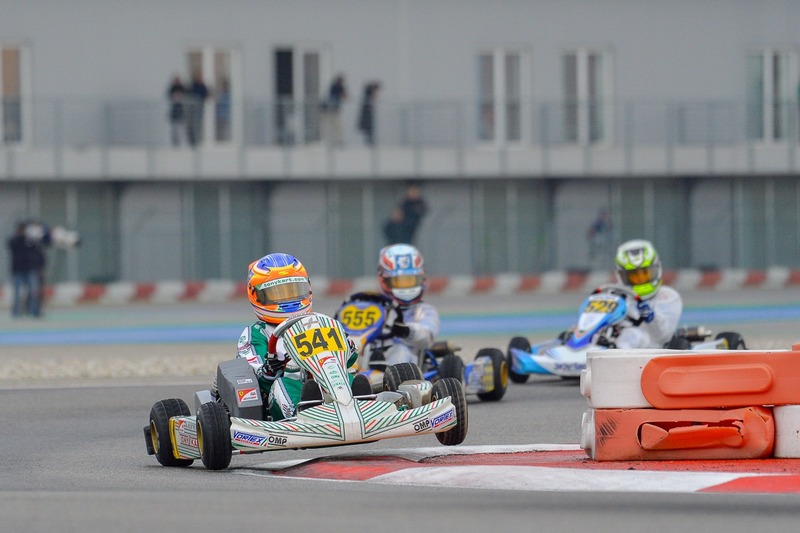 During qualifying heats Meguetounif was able to battle for heats wins. 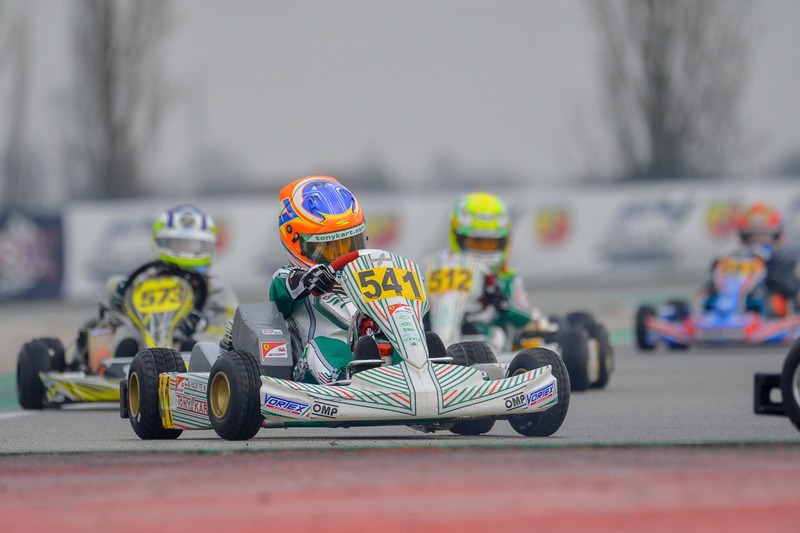 The Frenchman finished 5th overall after all heats. 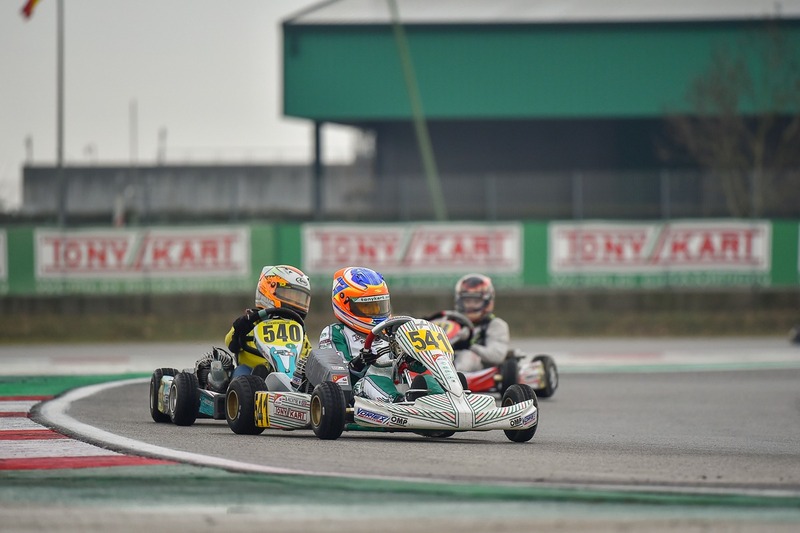 Joutsimies was very consistent in the top5, finishing in 9th place overall, while Morgatto went from less to more, battling for victories in some heats. 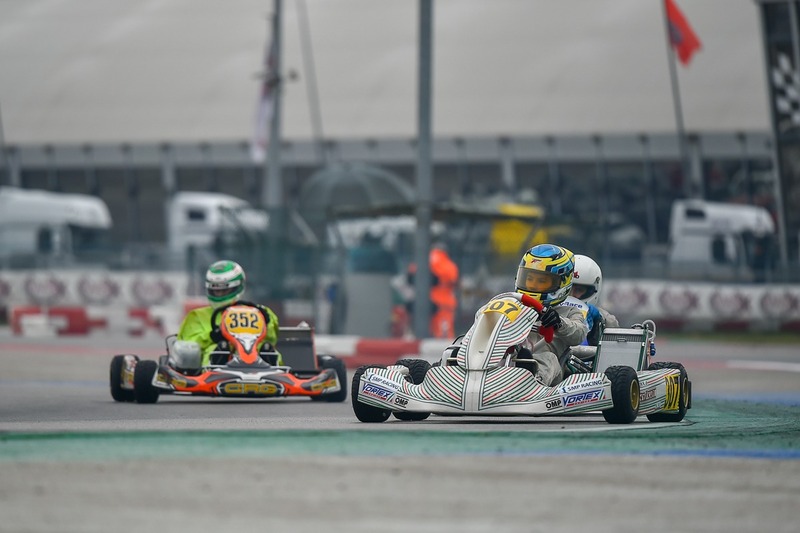 All our drivers passed easily to the final with Sami Meguetounif been the best of the team finishing in 10th place, just ahead of Rasmus Joutsimies, Morgatto completed a great comeback of 10 positions finishing in 13rd place. 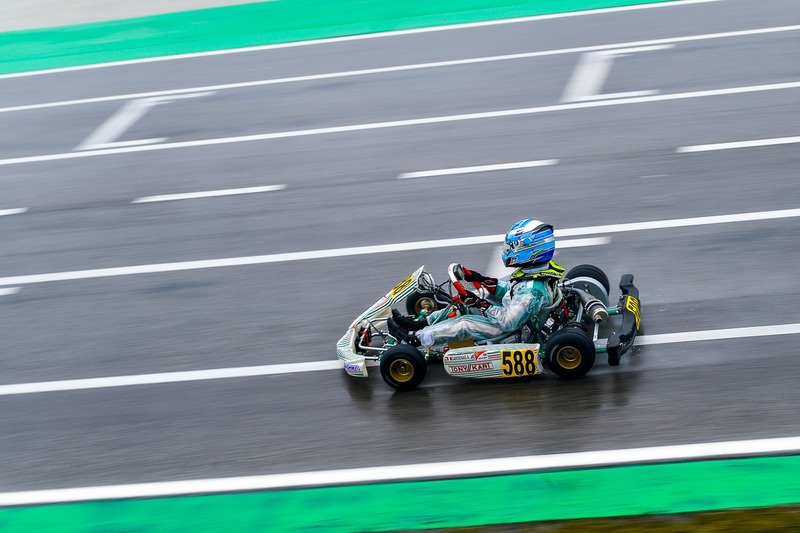 In Mini 60, William MacIntyre shine all weekend long in all track conditions. 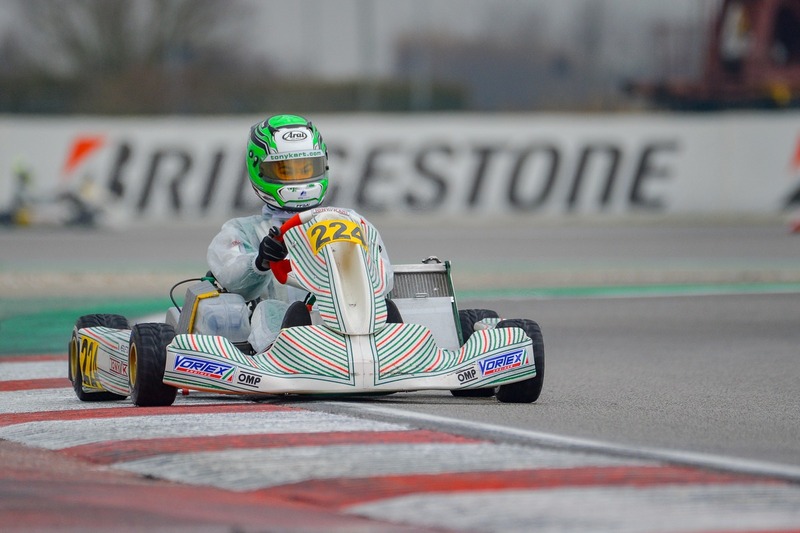 British driver was 13rd in the qualifying practice. 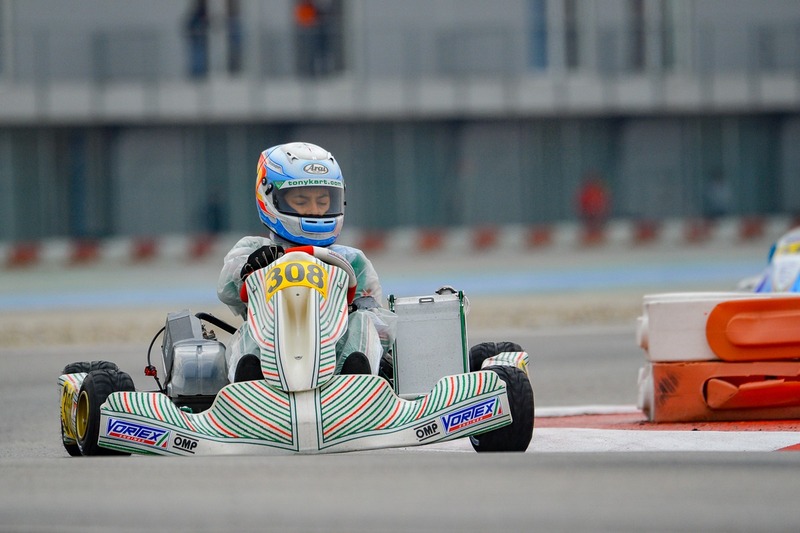 But that meant nothing to the youngster who dominated in all his eliminatory heats except one. 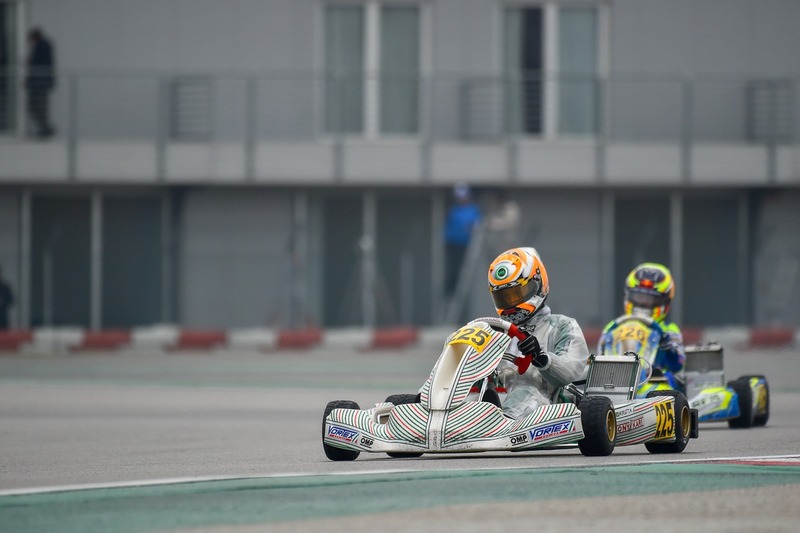 Then in Final B, Yanpu Cui was magnificent making a comeback of 16 positions while James Egozi finished in the top7. 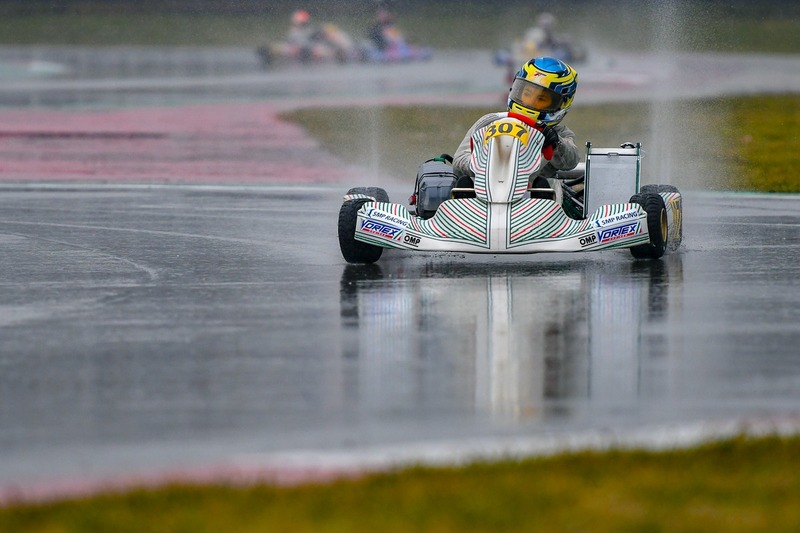 In the final William MacIntyre fought for the podium but this time the British had not much luck. 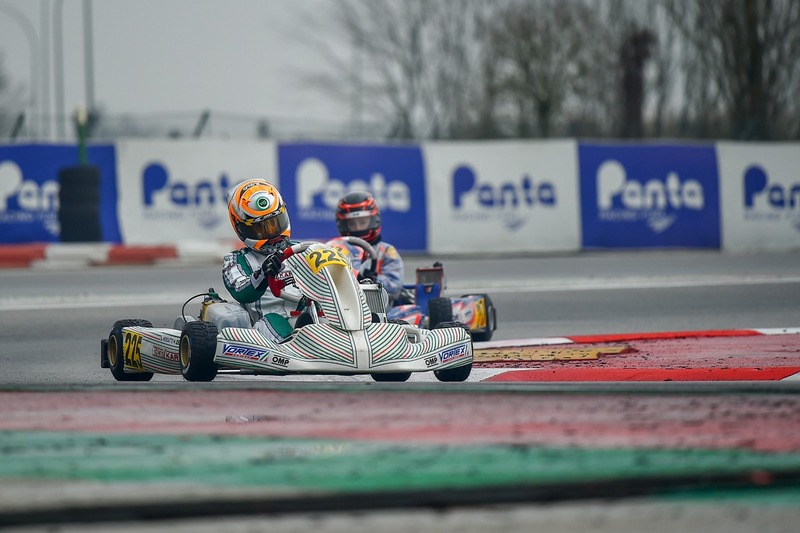 Also, French drivers Jules Caranta and Jimmy Helias weren’t much lucky with both finishing in places 26 and 27, respectively. 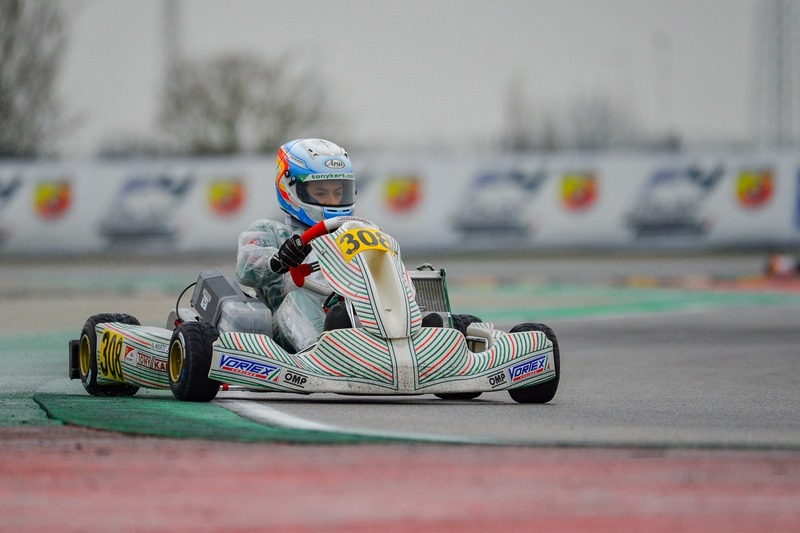 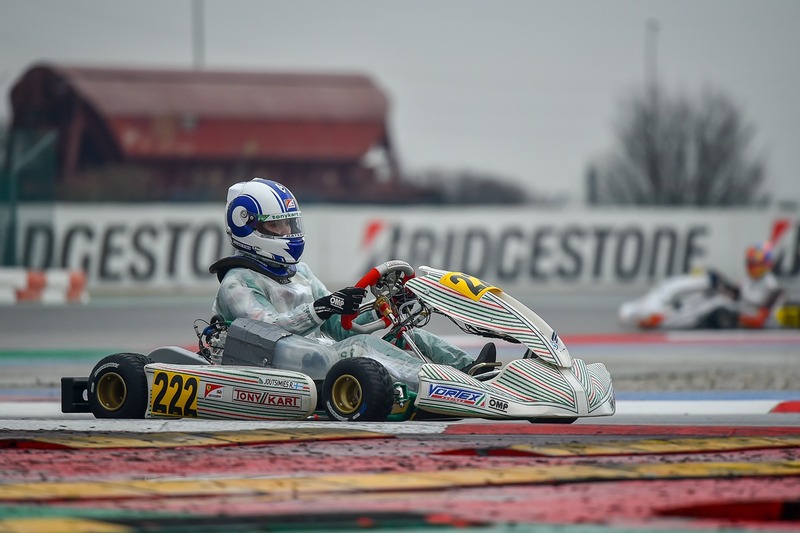 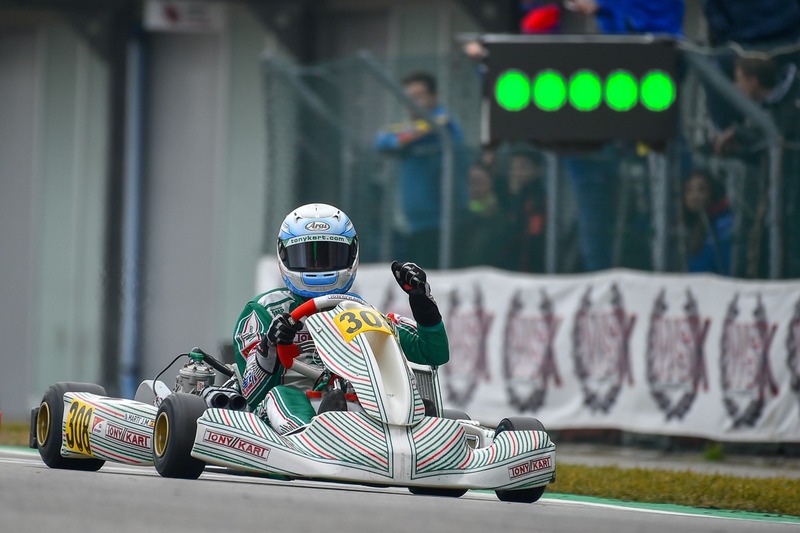 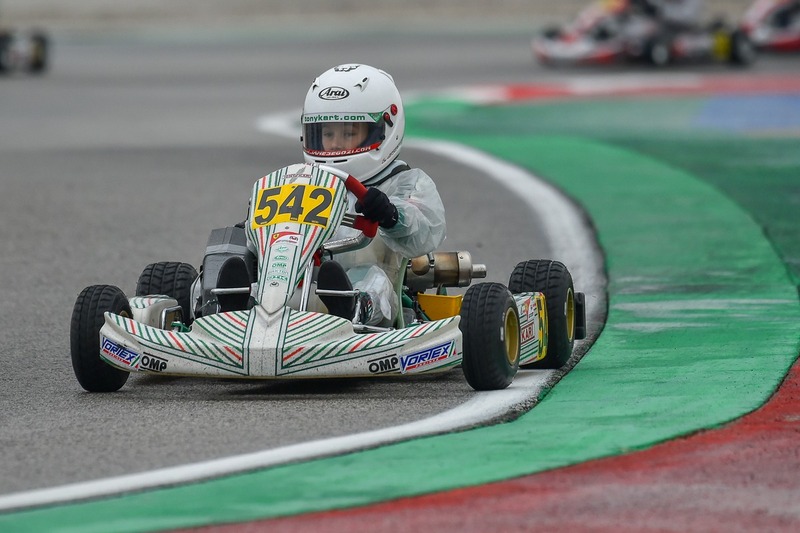 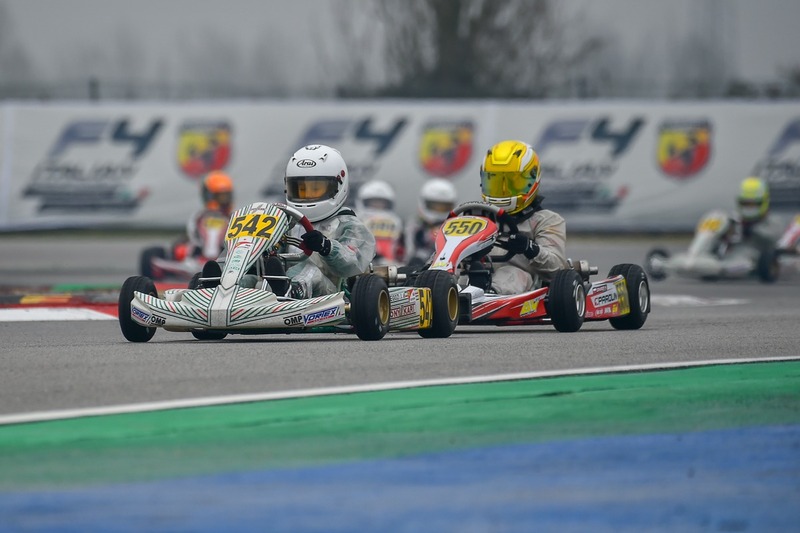 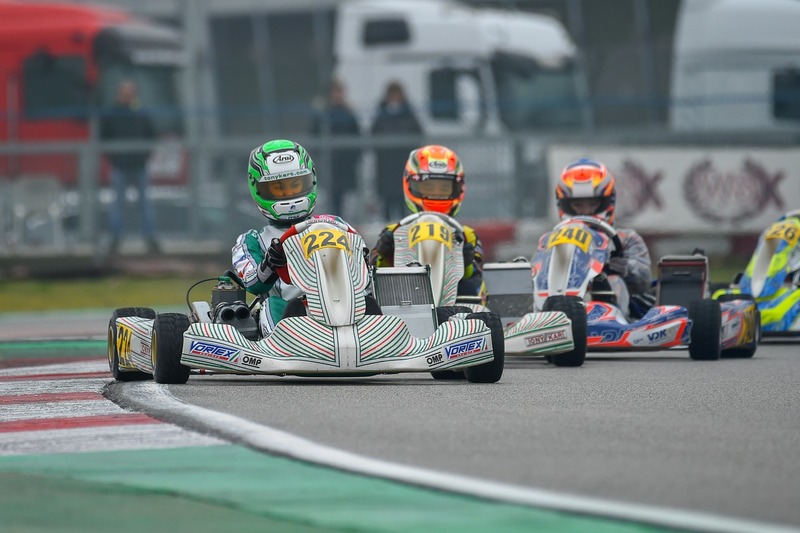 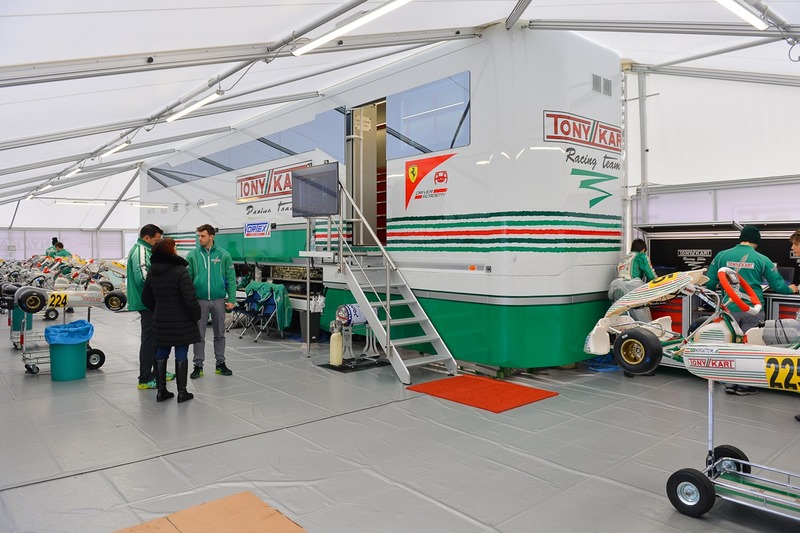 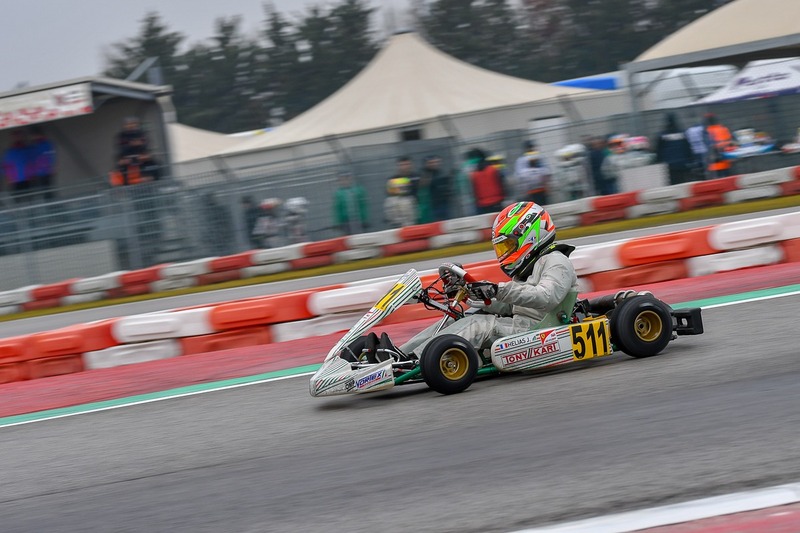 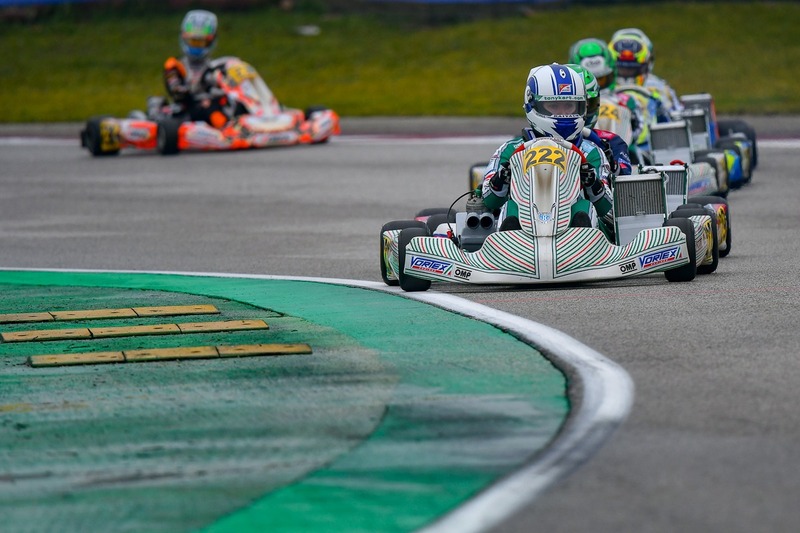 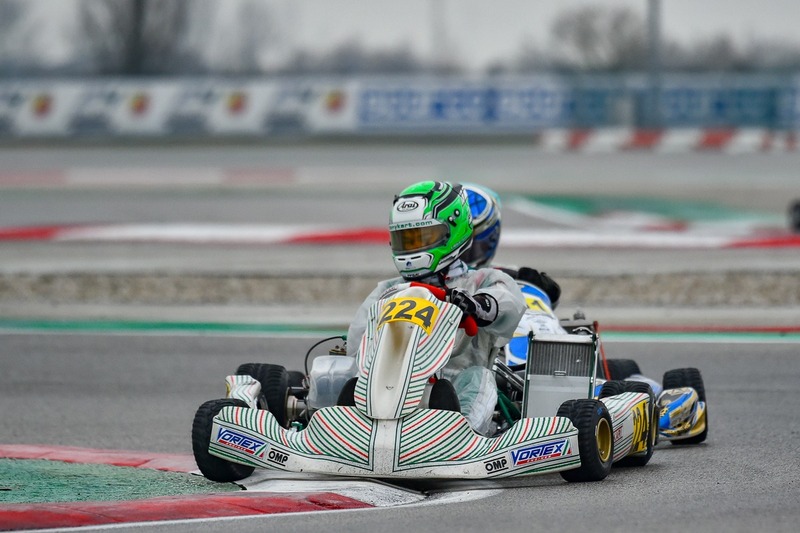 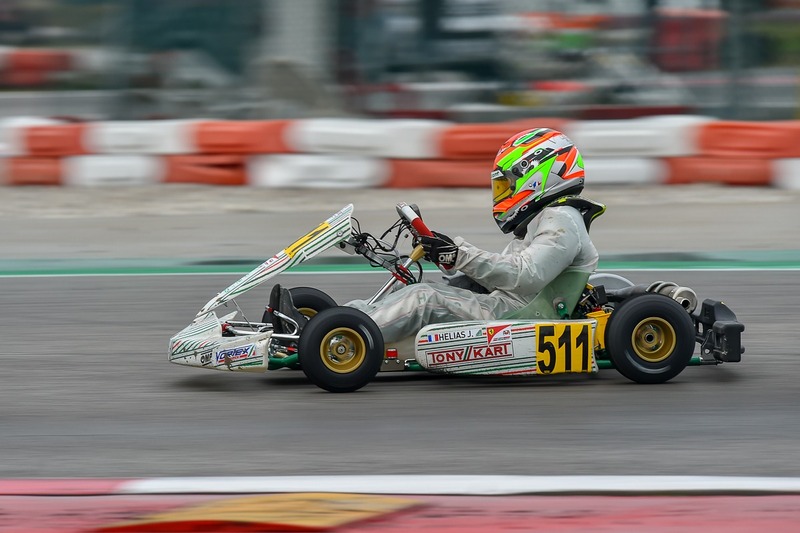 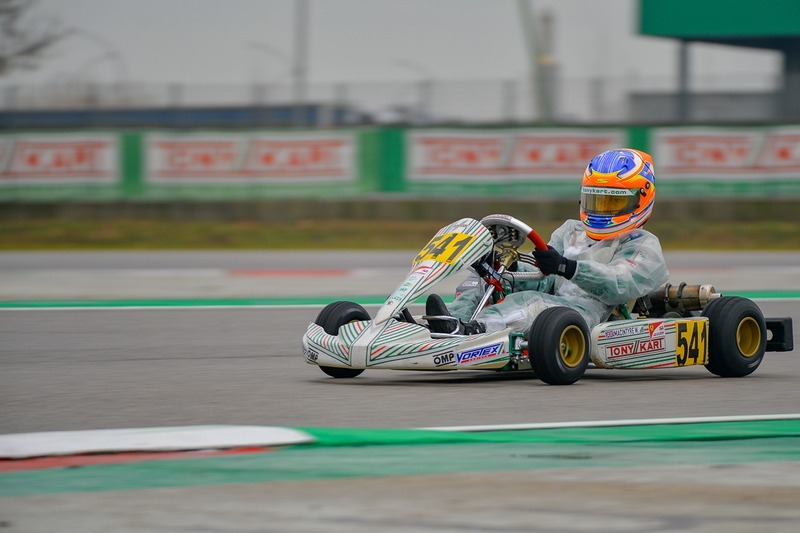 The Tony Kart Racing Team will be back on track in two weeks in South Garda Karting for the 24th Winter Cup (Lonato).